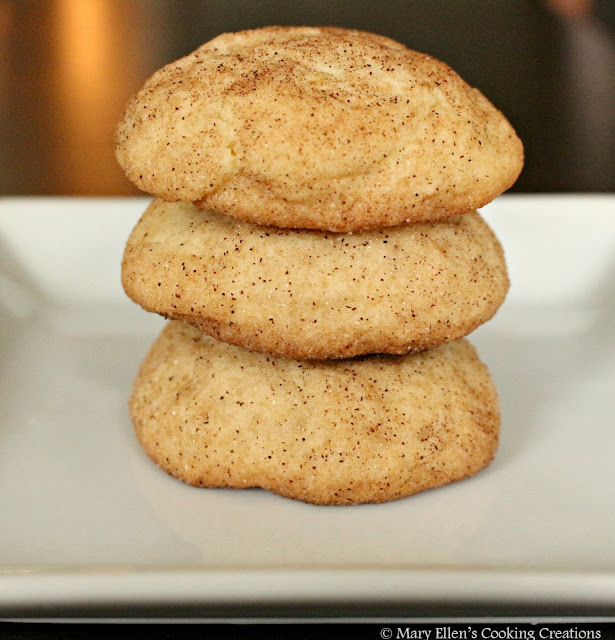 Soft on the inside, crispy on the outside, and with just the perfect amount of sweetness and cinnamon, Snickerdoodles are my absolute favorite Christmas cookie. Look how beautifully fluffy they are! My dad has been making snickerdoodles for years. A few years ago I told him I was going to try making them myself and he seem surprised. He knows I'm not a baker so he warned me that snickerdoodles are hard cookies to make. I took that as a challenge. I knew that the key ingredient in snickerdoodles was cream of tartar. This special ingredient is what separates snickerdoodles from other sugar cookies. 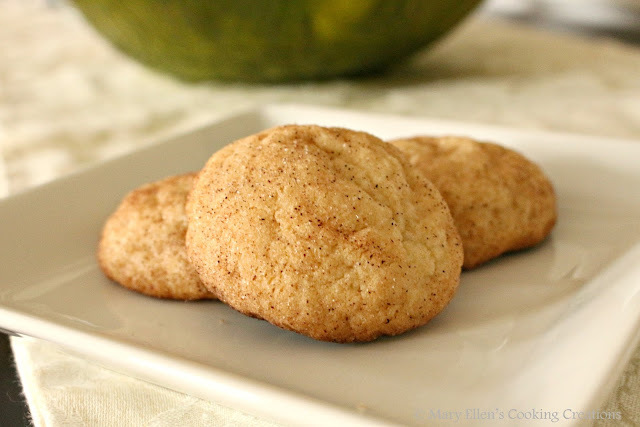 The cream of tartar is what gives them their tangy chew, everything I love about a good snickerdoodle. 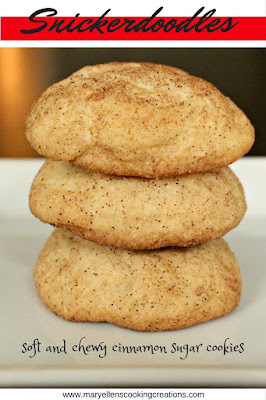 I didn't find these cookies to be difficult at all, and my daughter had the best time coating the cookies with cinnamon sugar. These cookies will always be on my Christmas baking list! In a medium bowl, whisk together the flour, baking soda, cream of tartar and salt. With an electric mixer or in the bowl of a stand mixer, beat the butter, brown sugar, and 1 c of the granulated sugar on medium-high speed until light and fluffy, 2-3 minutes. Beat in the eggs and vanilla. Reduce speed to low and gradually add the flour mixture, mixing until just incorporated. In a shallow bowl, combine the cinnamon and remaining 1/4 c of granulated sugar. Form cookie dough into balls (each equal to 1 level Tbsp). Roll the balls in the cinnamon sugar mixture and place on parchment lined baking sheets, spacing them 2 inches apart. Bake until the edges are golden, 12-14 minutes. Cool slightly on the baking sheets, and then transfer to wire racks to cool completely.